Koi fish come in a large variation around the world and are one of the most popular when it comes to fish collecting enthusiasts. Originally, koi used to come in three basic colors: red, white and yellow, but with the passage of time and advancement in science that helped cross-breeding to take place, we have a huge variety of koi to choose from. With variety comes a score of colors and designs, all in sub-classes. Whatever type of koi you choose for your pond, however, you can be sure that you will be making the pond aesthetically pleasing. When we think of types of koi, probably the oldest type of koi that comes to mind is the Asagi koi. 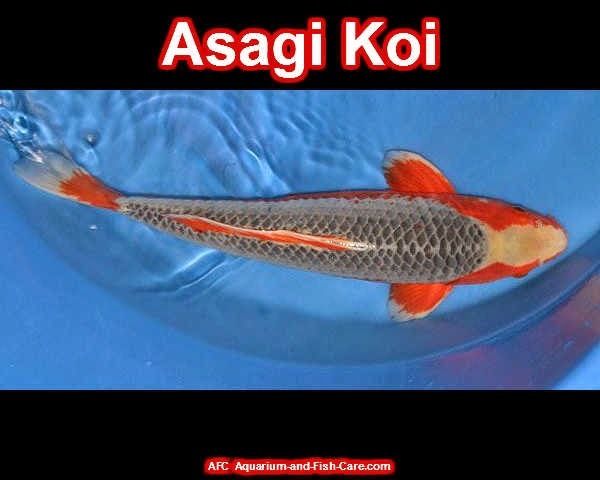 The Asagi is believed to be the original koi, its appearance dating back to as far back as 160 years. It is also now known that the Asagi is the result of a mutation of an earlier type called the Magoi (Black koi). A variant of the species came into being from the Black Koi, having blue scales and a lighter shade of blue around the scales, making a net-like pattern. This new species was cross-bred with Kohaku to get Asagi koi. This koi had red cheeks and fins and a blue dorsal area. Usually, gray/blue scales on the back are a common feature of Asagi koi. Sometimes the scales can vary in color and turn from lighter to darker shades of blue, usually around the center of the dorsal area. Usually, the pectoral fins and the gills of the Asagi koi are found to be bright red but the koi can turn really dark in cold water. It has even been observed to turn totally black! Konjo Asagi: This is the darkest colored Asagi koi that you will find anywhere and can sometimes be totally black. Narumi Asagi: There was a town in Japan called Narumi, where this special type of cloth with patterns was produced. The Narumi Asagi is named after that town because of having a similar pattern to that cloth. The Narumi is usually dark blue in the center with light blue or white edges of the scales. 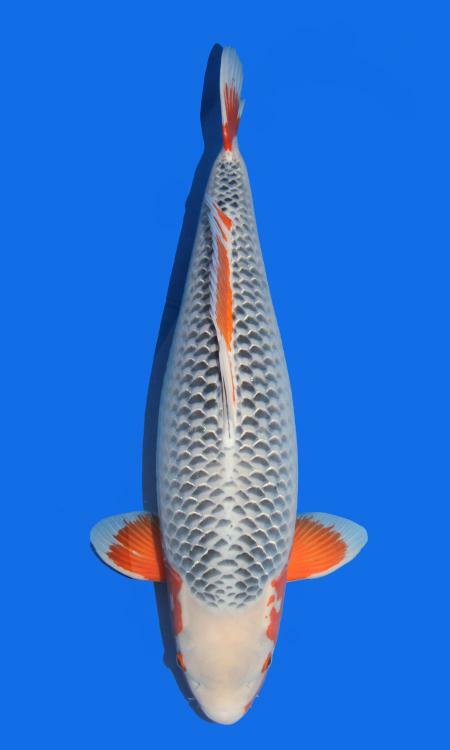 Mizu Asagi: This is the most expensive Asagi koi and comes in a totally light blue color. The color of blue in this koi is the lightest to be found. The Mizu Asagi is also known as Akebi. Asagi Sanke: This type of Asagi is one of the rarest and priceless Asagi in the world. It has a pearl white abdomen. Taki Asagi: A pretty uncommon variety, the Taki Asagi has a red abdomen with a white streak across it. The basic Asagi pattern is present. Shusui: Large mirror scales are the highlight of the Shushui. There are also lateral lines to the left or right of the dorsal line that make the Shushui instantly identifiable. The result of a cross-breed between Asagi and Doitsu. Most, if not all, of these differences, are easy to spot when choosing the type of Asagi koi you want. Keep in mind though that the most valuable Asagi are the ones with a white abdomen and they are very, very rare.